“A ‘like’?” I asked my 6-year-old son. 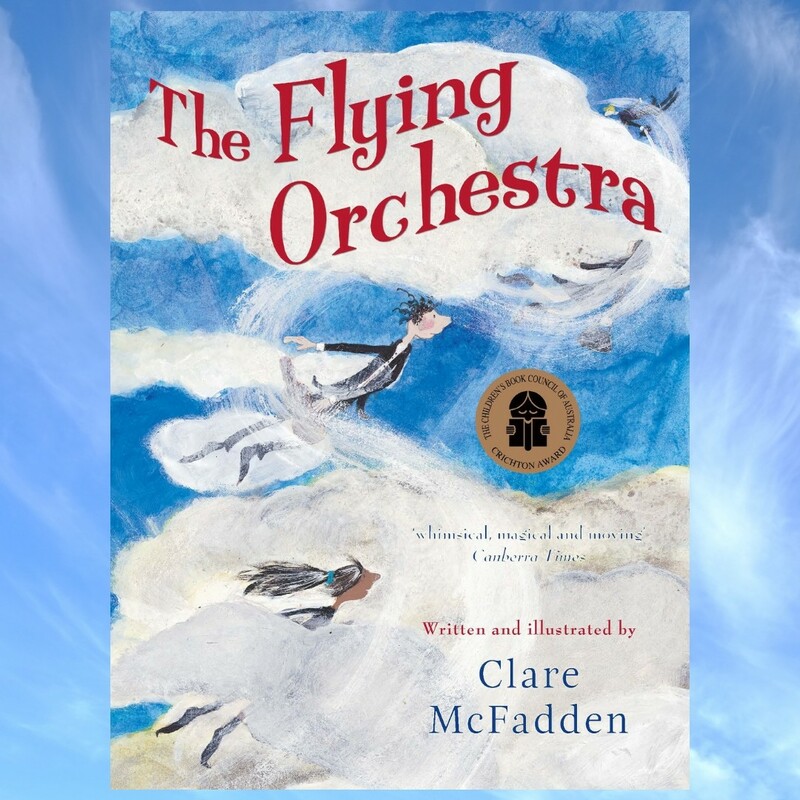 Mr 6 waved The Flying Orchestra, by Clare McFadden at me. He loves this book. It brings together some of his favourite things – flying, music and of course, words. We’ve read it many times over now and he has new questions each time. What’s a sonata? What’s a symphony? What do they mean when they say the angels ‘lost their balance‘ or the symphony ‘blows out of town‘? What exactly are dawn and dusk? The pictures are beautiful and expressive – reminiscent of the modern Roald Dahl illustrated editions. Originally published in 2010, the hardcover edition was awarded the 2011 CBCA Crichton Award for New Illustrators. The writing is poetic and simple enough for kids to follow but not dumbed down. It leaves space for wonderful conversations about the sound tracks to life and how cool it would be if musicians really did get blown in on the wind and popped up in the middle of the night to play to you if you’re feeling lonely. At the back of the book there’s even a list of music to listen to for each situation described in the book. This led to discussions about who is Bach and Franz Schubert and are they alive or dead? My favourite recommendation is music to listen to ‘under a sky with milky stars’ – Debussy’s ‘Clair de lune’. This is a beautiful book to read and the perfect introduction to orchestral music for kids. 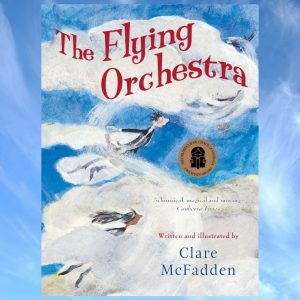 And so there you are, Mr 6, we have given Clare McFadden’s The Flying Orchestra a great big ‘like’ by writing this review. Mr 6 also wants you to know it’s now available in paperback edition from all good bookstores. And he says a big ‘thank you’ to University of Queensland Press for sending us a copy to review. I love this review, I’m going to look this one up for my niece and nephew, I’m also adding it to my spec fiction round-up this week, as I try and end it with a children’s book each month. Thank you Claire :-). It’s such a wonderful book!